Hi Guys! 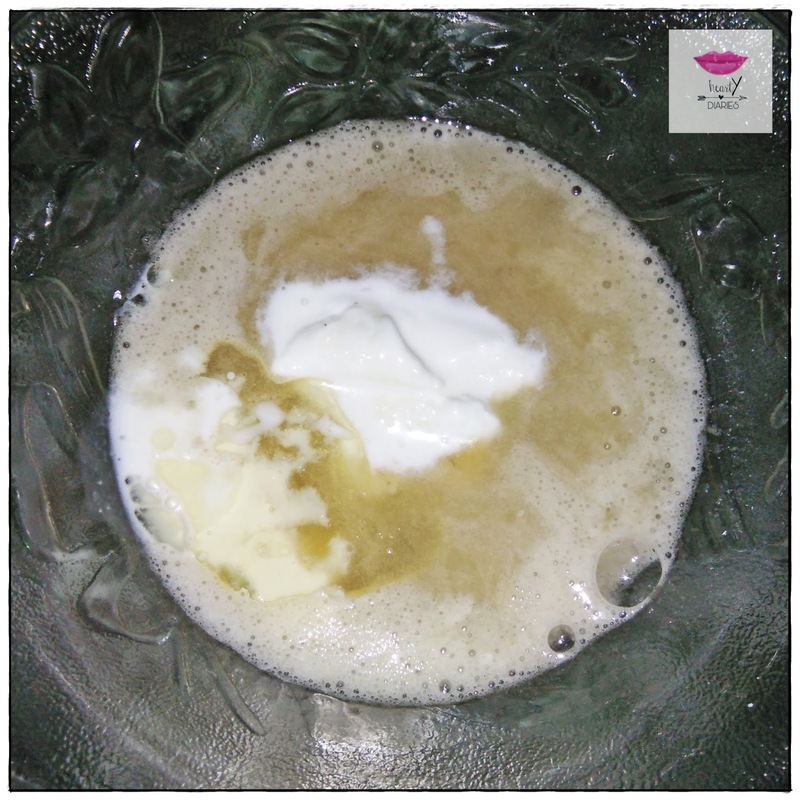 Today I am going to share a really easy yet very very effective hair mask with you all. I personally love applying it and would highly recommend you to use it if you want glossy, shiny, silky, soft and smooth hair. 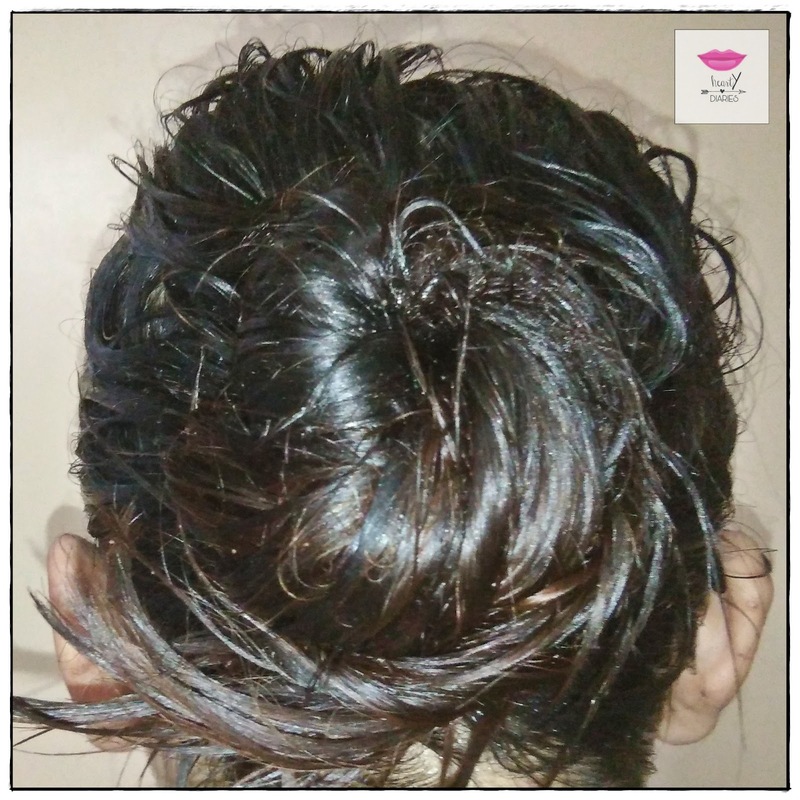 This mask also helps in getting rid of dry and frizzy hair. 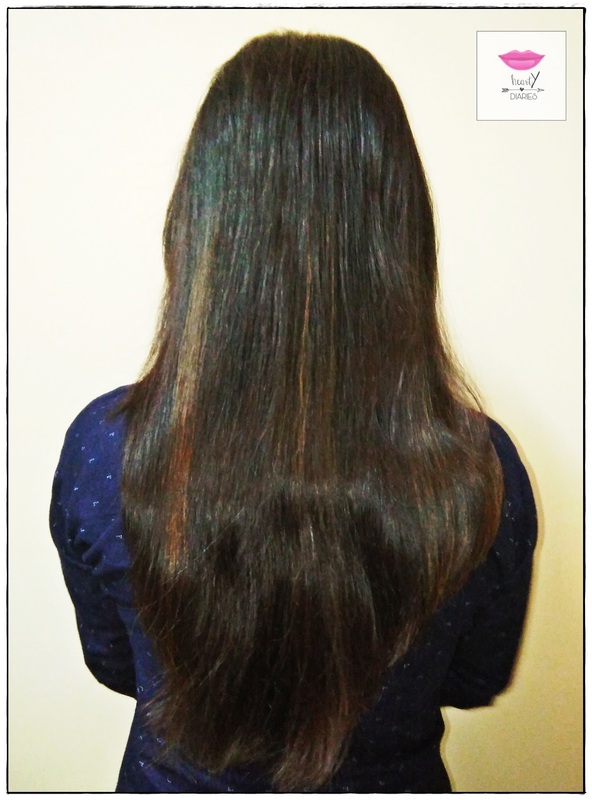 Currently we are having dry summers in India and my hair felt lifeless few days ago. My grandma suggested me to apply a thick paste of ripe bananas on my hair. I went ahead and added few more ingredients in it which I feel are really helpful ingredients for healthy and shiny hair. Before sharing the ingredients, let me show you the result.. I know I don’t have a “Before and After” sort of picture.. I forgot taking it completely. 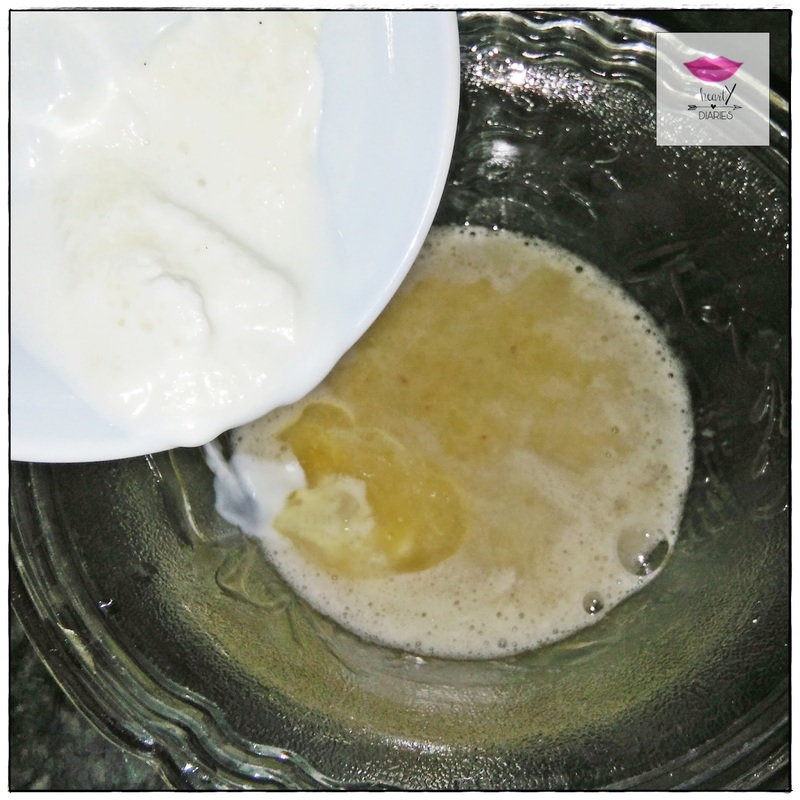 If you are doubtful, try making and applying this hair mask today itself and you’ll know.. Without wasting any more time, lets get started.. These ingredients are perfect for medium hair length. You may adjust the ratios according to your hair length. 1. Take two ripe bananas and peel them. 2. Put them in a muslin or net cloth to mash them. 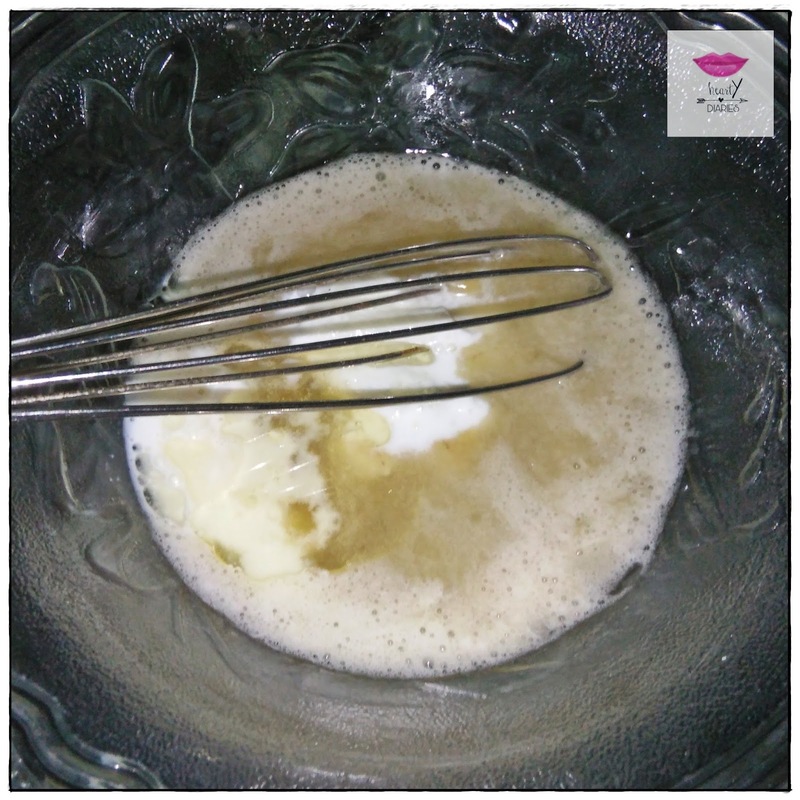 You may also blend them but I prefer to mash them with hands as it is slimier and smoother. 3. Squeeze the bananas with your hands and collect the juice in a bowl. It will take more time as compared to blending but I prefer it. Try to squeeze the left out pulp one more time to get the most out of it. 4. You will get banana juice like this. 5. Now add coconut oil to the bowl. I use crude coconut oil, you may use extra virgin coconut oil as well or whichever you prefer. 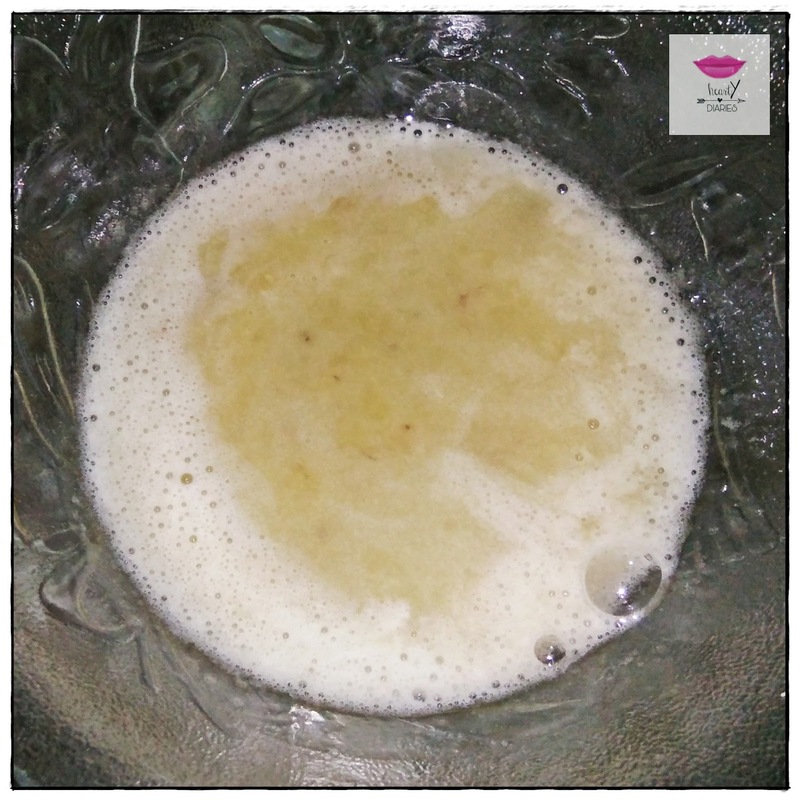 You can also use olive or mustard oil in place of coconut oil. 6. Now add milk cream and milk to the bowl. 7. Once you have got all the ingredients, it is time to mix them really well. 8. Whisk all the ingredients until they are well incorporated. 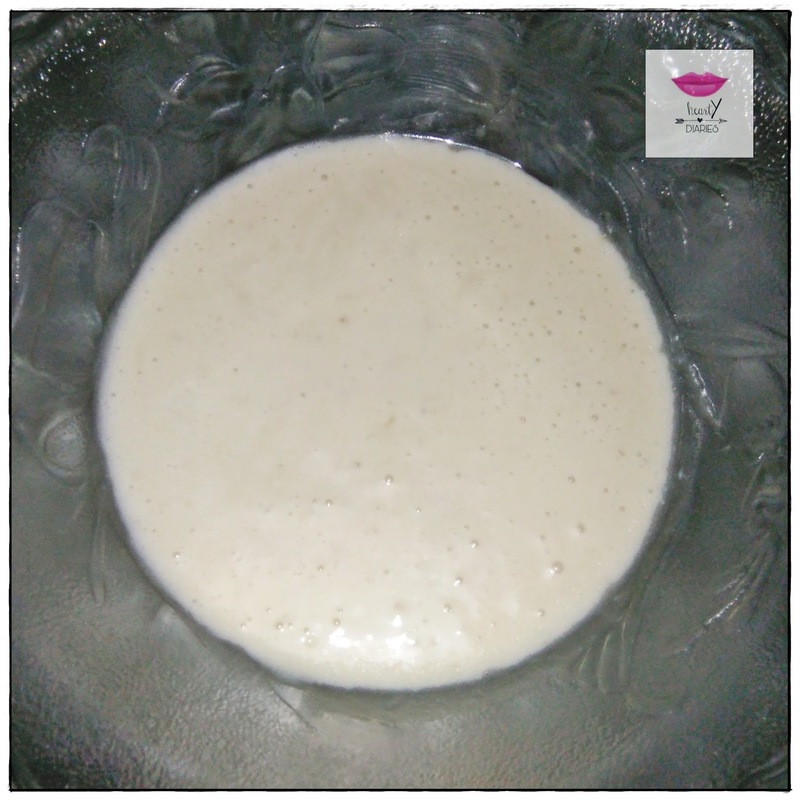 At this point of time, you may also blend this mixture to get a much smoother and well blended consistency. Voila! 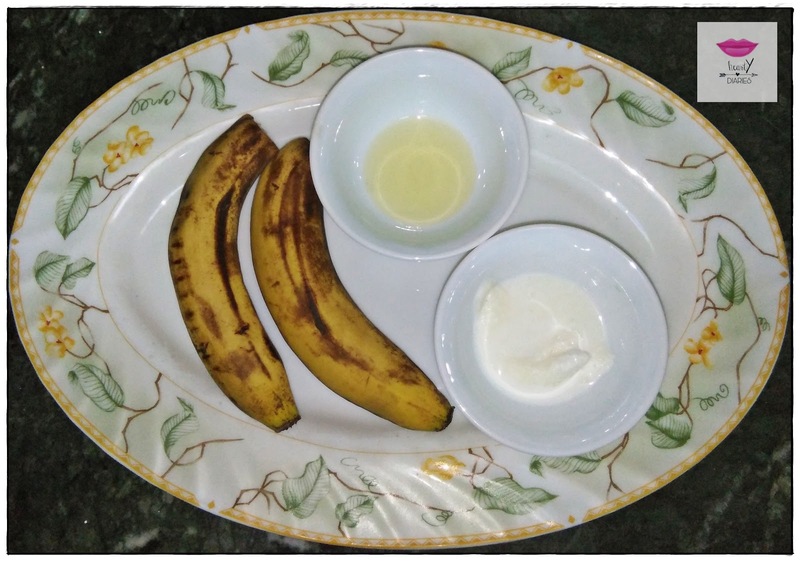 Banana Hair Mask is ready!! 1. 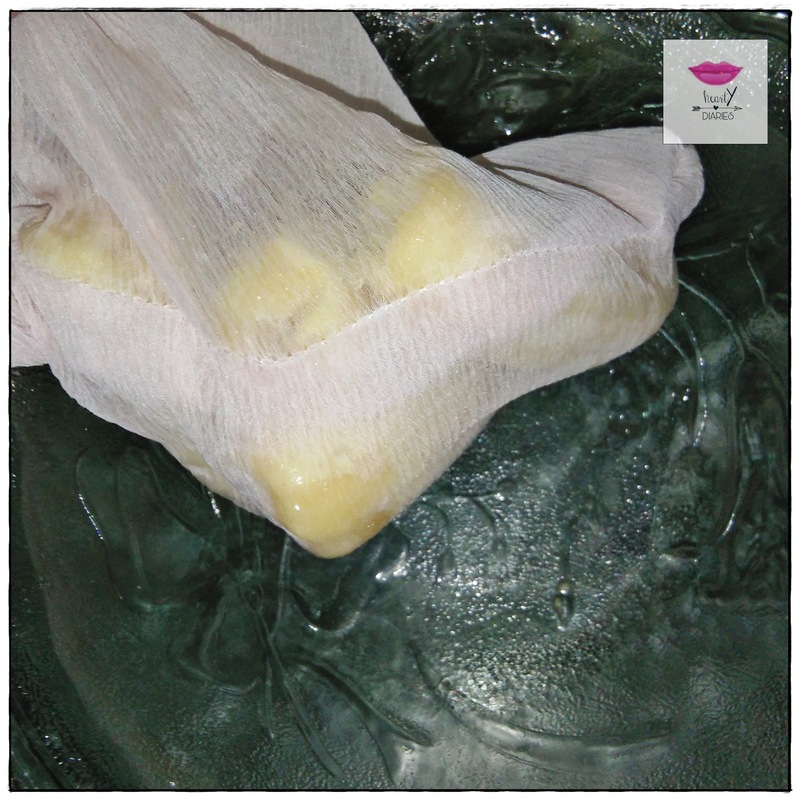 Banana is rich in potassium and natural oils which help in making the hair soft and protect their natural elasticity preventing split ends and breakage. 2. It also helps in making hair shiny and manageable. 3. It nourishes the hair thoroughly and make them well conditioned. 4. Bananas are also very beneficial for controlling dandruff and promoting hair growth. 5. Coconut oil adds luster, shine and softness to the hair. 6. 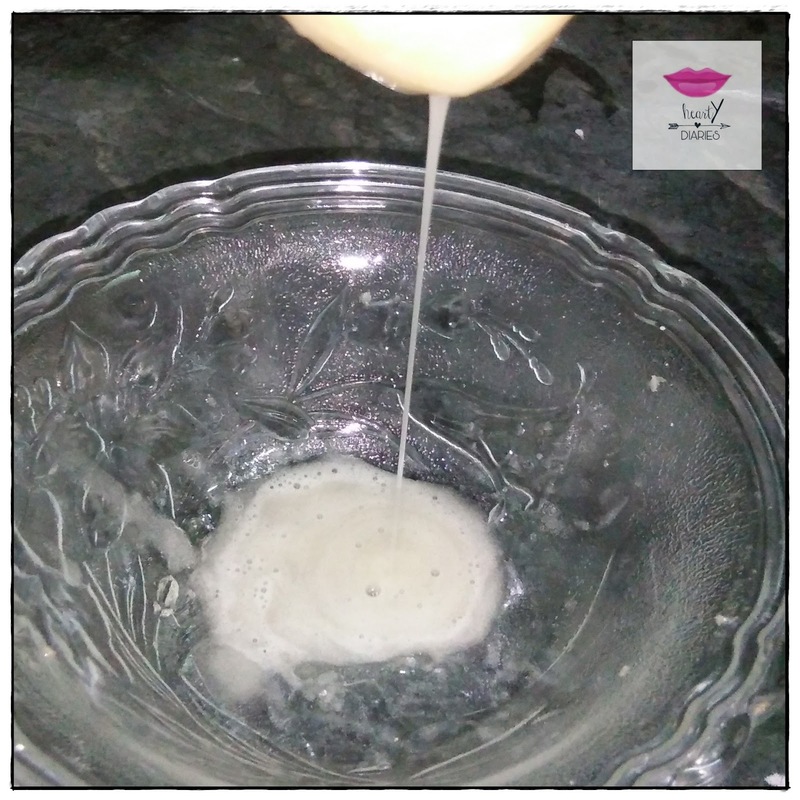 Milk and milk cream also help in conditioning the hair and help getting rid of dry and frizzy hair. Consistency and Texture: Slimy and thin, just like banana shake. 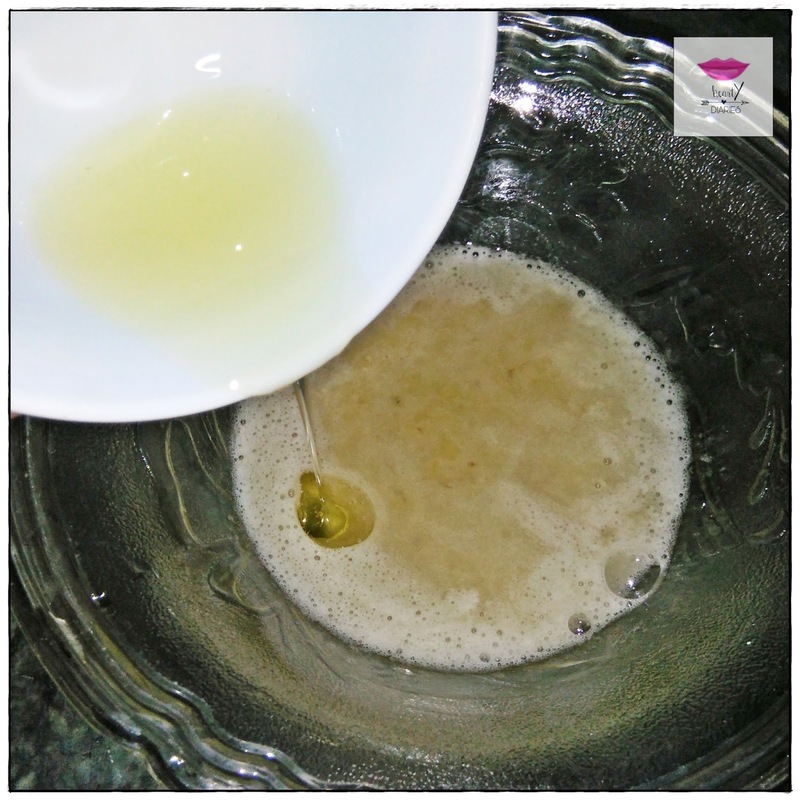 Application: Apply this mask with a hair brush from roots till the end of your hair and tie them in a bun. Leave it for around 45 minutes and you’re good to go. Wash it with normal water and a mild shampoo. You may skip your conditioner as it is enough to condition your hair thoroughly. I can swear by this mask and I love it to bits. Go and grab some bananas and apply this mask as soon as possible. I am a thousand percent sure that you would literally fall in love with how your hair will feel afterwards. The article is very informative; When I saw your site I just knew I had to take a look. For several years now I have felt like I have lost more hair each time I wash my hair, brush, etc. it makes me feel sad because I miss my old hair. So help me and tell me how I can solve the problem of hair fall. Aww that means a lot to me.. Use Fenugreek seed mask.. Thanks a lot dear.. I am glad u liked it.. Thanks for stopping by and appreciating me.. I love your DIYs.. They are so simple & effective!! Thanks for sharing this. u need to try this… I love its result….